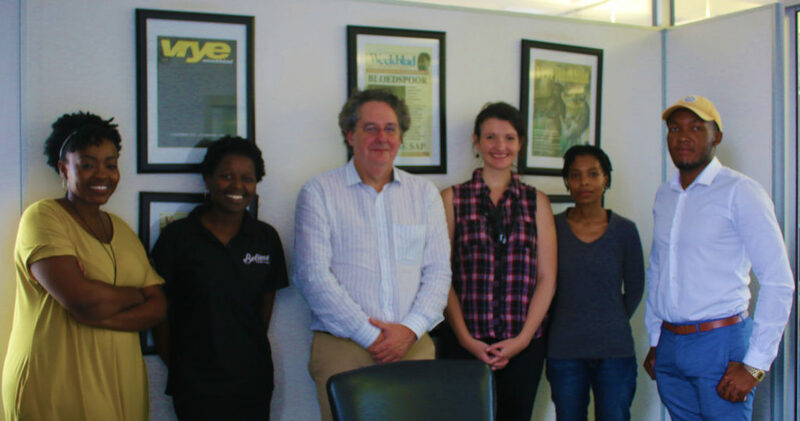 The first Open Society Foundation (OSF) Fellows in Investigative Reporting started their programme at Wits Journalism this week. The Fellowship is a three-year project to mark OSF’s 25 years in South Africa, designed to seed the next generation of investigative reporters. It is run in partnership with Rhodes University Journalism School, amaBhungane, News24, Mail & Guardian and Daily Maverick. Five fellows a year will do a special BA Hons programme with a focus on investigative reporting, including a six-month internship with one of the country’s leading investigative teams. As part of their year, they will each do an in-depth reporting project under the mentorship of experienced investigators. They will also attend the Global Investigative Journalism Conference in Hamburg, and the African Investigative Journalism Conference at Wits, both in October. This year’s fellows are Chris Gilili, Sibongakoke Mama, Simthandile Mtobela, Mosibusi Ratlebjane and Gemma Ritchie. Applications for next year’s Fellows will open in August this year.